Kimba, a rescue dog from Romania, escaped from her new adopters’ car in Kings Langley, Hertfordshire on January 6. 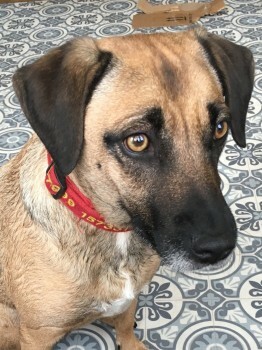 They immediately registered her on the DogLost website, and the local coordinator got in touch to offer help with the search. On January 11, the team called in Canine Capture UK following four days of Kimba being chased by people trying to catch her. She had spent a couple of days in the Hemel Hempstead area and then moved onto Berkhamstead where she was frequently seen running scared. After two days there, she moved again however with only one sighting in Chesham. It was not clear where she had moved to. Finally, a call was received from an area 8 miles away, Kimba had slept in a porch overnight, and the homeowner, knowing not to spook her and try to grab her had managed to take a photo of the dog’s collar and read the telephone number printed on it. Unfortunately, Kimba had chosen a high-risk area to sleep as the house was next to a very busy A-road. The homeowner reported that Kimba was accessing the porch from the road via a hole in the hedge. He continued to feed her small bits of food all day in an attempt to keep her in the area. A member of the team drove to Cambridge to collect a trap and plans were put in place to try and capture Kimba safely and without spooking her. 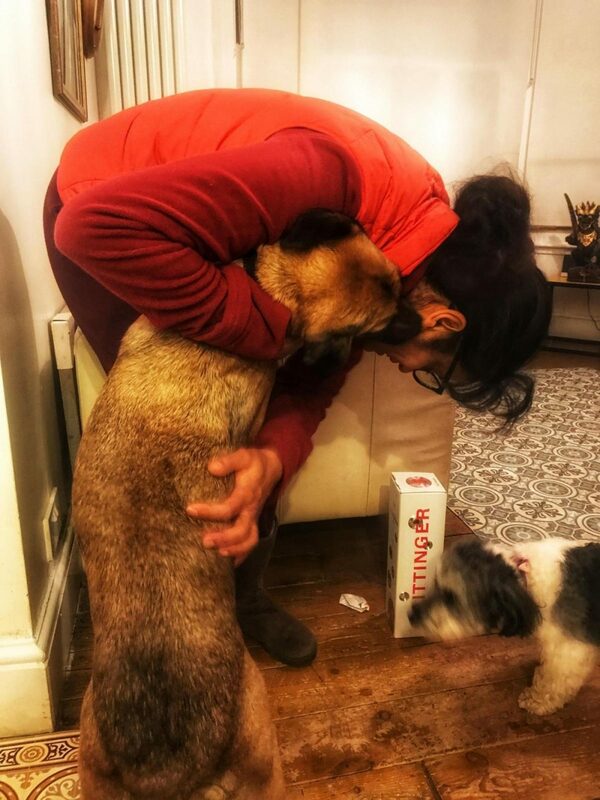 Fortunately, of both DogLost and Canine Capture UK, Kimba was not worried by the trap, and after trying several tasty treats, she decided that hot chicken was worth going in for. Kimba was finally safe after eight days and 100+ miles on the run, seemingly unharmed. “We want to say a massive thanks to Christine and Nicki of Canine Capture UK, James, the “man with a van” and the local DogLost teams in Hertfordshire and Buckinghamshire. They were all instrumental in ensuring Kimba’s safe return. A man is seriously injured in hospital after his panel van hit three stationary vehicles in a side street. A pub has closed to undergo a dramatic facelift.